Dr Jane Fleming moved into research from a clinical background in nursing, mainly with older people, through epidemiology training and a PhD on falls and their consequences in older old age. She has since co-ordinated the Cambridge City over-75s Cohort Study, the longest-running of several population-based studies of ageing run from the Public Health, Ageing and the Brain research group at the Cambridge Institute of Public Health. Using mixed methods approaches to inform policy and practice affecting older people, her programme of work has a focus on the growing numbers of the “older old” and those with dementia. Particular interests include: very old people’s care needs, preferences and transitions towards the end of life; the role that exercise, social and physical activity can play in postponing frailty, maximising independence and quality of life; policy implications and impacts on older people and their carers, both family and staff working across care settings. She is part of the Cambridge Palliative and End of Life Care Group and affiliated with the Clinical Nursing Research Group, both in the Department of Public Health and Primary Care’s Primary Care Unit. 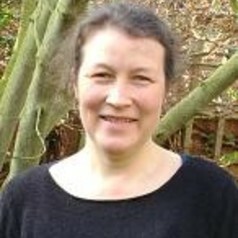 As a member of the Dementia, Frailty and End of Life Care theme within the National Institute for Health Research’s Collaboration for Leadership in Applied Health Research and Care – East of England, she is collaborating on research into older people with dementia’s use of emergency ambulance services – the RODES study, – and research into frail older people’s care trajectories, and is jointly leading a study exploring the impacts of dementia case-finding in acute hospitals on older people’s care after leaving hospital – the CASCADE study. She is a former co-convenor of the Qualitative Research Forum at CIPH and is currently on the working group coordinating the Cambridge Nurses & allied health professionals in Research group. Along with local voluntary group members she helped set up the Public Involvement in Research into Ageing and Dementia advisory group.